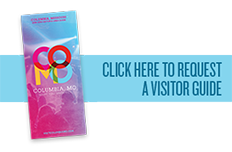 The Columbia Chamber of Commerce’s Showcase CoMo event gives local businesses an opportunity to show off the outstanding products and services they have to offer. This event is open to the public, allowing businesses to directly interact with each other with their consumers. Showcase CoMo showcases everything from products, services, resources and involvement opportunities, giving those attending the chance to experience all that Columbia has to offer. In addition to learning about local businesses, attendees will also have the opportunity to attend educational seminars throughout the day and sample delicious food and beverages from 4-6 p.m. Admission is $10. Tickets are an all-day pass for the event and allow the attendee re-entry throughout the day. Tickets may either be purchased on the event website at http://bit.ly/ShowcaseCOMO or at the door on April 11th.